Sherman Foote Denton was a naturalist, artist, and author at the turn of the 19th century. He is best known for his lithographs of fish. These were produced for the New York State Fisheries, Game, and Forest Commission from 1895-1909. Denton’s fish prints are highly sought after. 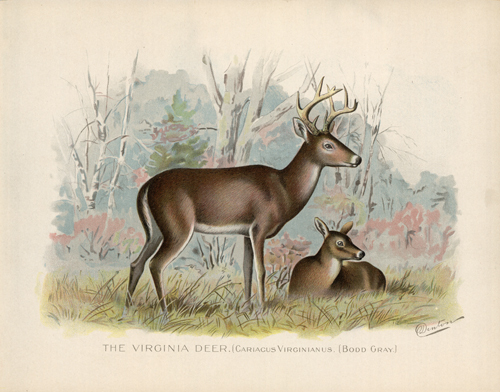 This print of the Virginia Deer is one of his few non-fish works.